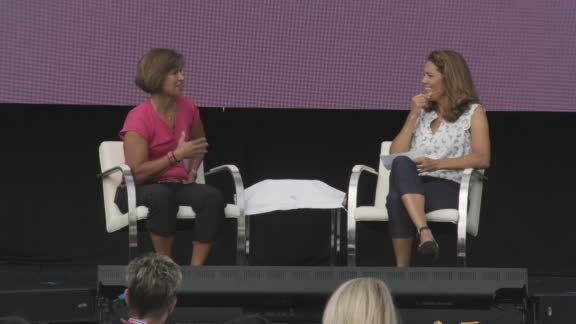 The mental skills coach for the women's national teams in soccer, ice hockey and field hockey divulged her top tips at the espnW: Women + Sports Summit. 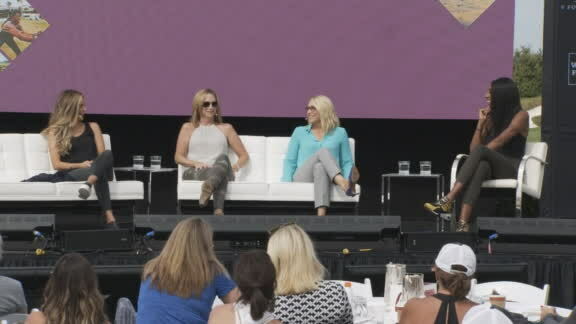 Jocelyne Lamoureux-Davidson, Meghan Duggan, Hilary Knight and Kendall Coyne Schofield talk at the espnW: Women + Sports Summit about how far U.S. hockey has come -- and how much still needs to be done. 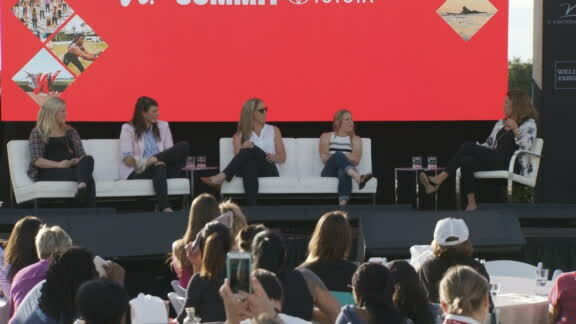 Every year, espnW founder Laura Gentile kicks off the espnW Women + Sports Summit with an introduction to the event and tosses to a "sizzle reel" of powerful female athletes, reporters and broadcasters. Every year, without fail, watching the likes of Serena Williams, Sue Bird and Doris Burke do their thing, backed by a girl-power soundtrack (this year it was Aretha Franklin's "Respect"), makes me feel like I could run through a brick wall, a la the Kool-Aid Man. That feeling grows over the course of the Summit's three days of programming, which leaves participants inspired, energized, educated, motivated and ready to take on challenges with a renewed sense of purpose. If you find yourself in a room full of people unlike you, be intentional about why you're different and, if necessary, use it to change the room and the dialogue. Instead of working to be "one of the guys" in a male-dominated industry, understand the moments that call for your unique, female perspective. If you're the only woman of color or LGBTQ representative at a meeting, consider how sharing your lived experiences might help the team best complete the job. 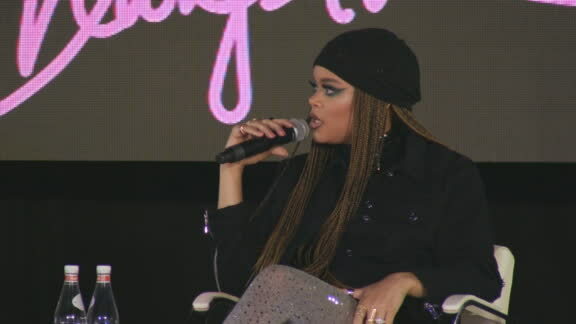 During the "Women in Leadership" panel, Cole said we have to embrace who we are, own our uniqueness and, most important, be authentic, as people aren't likely to follow a leader with whom they can't connect. Dr. Colleen Hacker, who has served as a mental skills coach for professional athletes and teams for more than 20 years, worked with the 1996 Olympic and 1999 World Cup champion U.S. Women's Soccer teams. 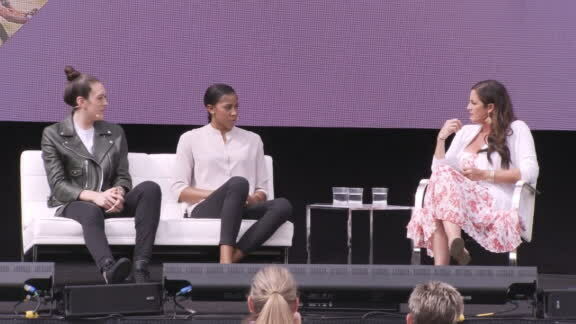 During her "Mental Toughness and Preparation" conversation with Julie Foudy, Hacker said her messages for those players was that mistakes shouldn't be forgotten, but they should be "parked." The analogy: When you drive to the mall to go shopping, you park your car and walk into the building to buy what you need. You don't turn around every two steps to check that your car is still there. You leave it and come back to it when you need to. You don't forget about the car, but you don't bring it with you. The same should be done with mistakes. Move on, accomplish what you need to, and come back to address and learn from the mistake when you have the time and focus to do so without negatively affecting the project, task, conversation or game at hand. 3. No matter what, get back on the bike. Kiana Clay grew up dreaming of a life as a professional motocross rider and was competing nationally by age 11. She thought her career was over when she lost the use of her right arm in a racing accident at age 12, but has returned to the bike and picked up snowboarding as well. She plays Xbox with her feet, has re-learned how to write and figured out how to use a doorknob to put her own hair in a ponytail. "I'm never going to say I can't do something because of my disability. That's not an excuse," Clay said on the "Voices of the Future" panel. "I still have two legs, I can run. I still have two lungs, I can breathe. I still have one arm. I'm still 100 percent independent. There are some things that are challenging, but I can still do it." As "Good Morning America" anchor Robin Roberts is known to say, "Make your mess your message." Clay says her disability is a gift that has made her more grateful for things and has inspired her to become a motivational speaker and mentor. She's the first female to race motocross adaptively and is inspiring other riders with disabilities to get back on the bike. 4. Be willing to sacrifice to make things better for the next generation. The U.S. women's national hockey team was willing to sit out the 2017 world championships on home soil in order to exact equitable treatment and pay from USA Hockey. In order for their threats of a boycott to pay off, they needed the support of countless women beyond those chosen for the world championship team. So every collegiate, high school and beer-league player who received the incredible offer to be a part of a scab national team had to decide whether the future of women's hockey and the treatment of the next generation was more important than her own personal dreams. In the end, USA Hockey caved, and the national team not only played in the world championships, but won gold. "Ultimately we stayed unified. They weren't going to break us," Kendall Coyne Schofield told Julie Foudy during the "USA Hockey: Road to GOLD! and Equality" panel. "This fight was so much greater than 23 players. It was a fight among the country and the world. We've seen the outcome impact so many other people, women and sports." We all face opportunities to sacrifice our own success and opportunities in order to make things better for other women, whether within a specific company or an entire industry. Stop waiting for someone to come along and change the world for the next generation -- be the woman you've been waiting for. 5. Let fear motivate you. When a 20-year-old LeBron James fired veteran agent Aaron Goodwin and put his career in the hands of three childhood buddies from Akron, including 24-year-old Maverick Carter, the sports world collectively gasped. One sports columnist wrote, "A few years from now, when LeBron needs knee surgery, he'll have his plumber do the job." Carter joined Cari Champion for her "Be Honest" podcast and talked about the pressure of having James' future in his hands and betting on himself even as others doubted him. "There always is fear that I'm going to [screw] something up and make a wrong decision," Carter said. "Using that fear as firepower is always what I've tried to do. Use it as motivation and use it as what gets me out of the bed to go prove I can do it." When asked about fear of failure in the "Women in Leadership" panel, NBA Players Association executive director Michele Roberts reflected on her previous career as a trial lawyer, saying, "There was a time when I would watch lawyers walk into a courtroom who seemed so casual and nonchalant. They were about to pick a jury in a homicide, and it was as if they were about to buy a pair of shoes. Every single time I walked into a courtroom I used to be terrified. Not for me, for the client and wanting to make sure I got the best result. "Don't worry about being so nervous, that means you care," she added. "When you stop being nervous, that means you don't care and you need to stop practicing law." Instead of letting fear paralyze you, let that feeling inspire your best work. If there are no stakes, you may not be compelled to put forth the effort and care necessary for the task. As Billie Jean King said, "Pressure is a privilege." Let the fear of failure drive you, and, if you stop being afraid to fail, it might be time to move on.